- By Kalgidhar Trust Publication from the document ‘Preserving Turban’. Head-dress or Pugree, as a concept of costume, had come down to us from hoary past. 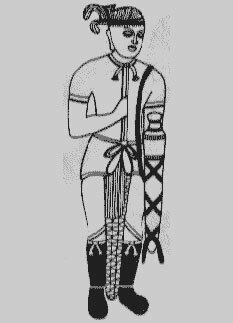 In the pre-historic era, men felt the need to protect himself against the natural odds followed by the desire of self beautification, whereupon the gradual evolution of costumes started. Long before the primitive man could weave clothes for himself, he conceptualized a ring like structure which was merely tied around the waist with no cloth around and it served as a pocket to keep the stone-age man’s in genius gadgets. This ring made up of plant bough or stem which enabled the ancient man to keep his hand free and movement unhampered. Nevertheless, this was the conscious beginning of the evolution of costumes. Similarly, the pre-historic man used to hang leaves, flowers and feathers from this head as natural suspender for self-pleasing decoration. The first reference of head-dress is found in the pre-historic rock paintings which were created by hunter- gatherers some ten to thirty thousand years ago. 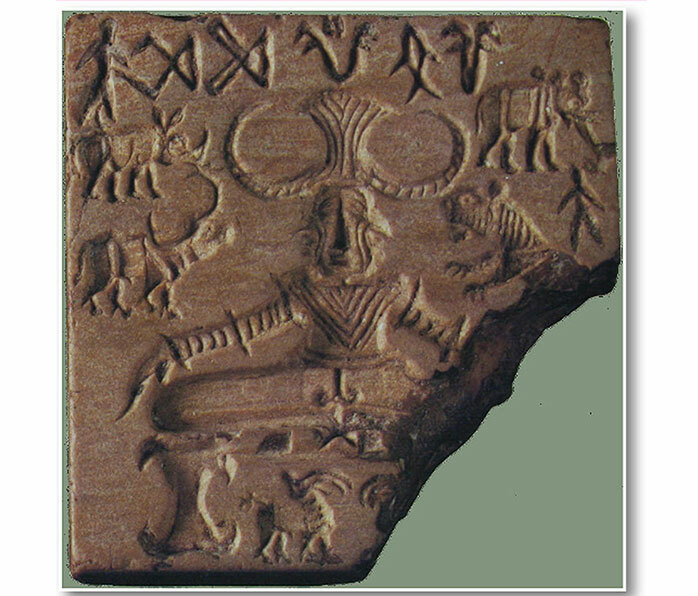 In the Indian rock art sites of Kumaun, Bhimbetka or in Rock art sites in Kerala one can find visual records depicting mainly hunting and dancing, wherein head-dress remained important. Those head- gears were mainly of animal horns or mask like animal faces over their head which would help them disguise as animals while hunting. - By Dr. Gautam Chatterjee, Pugree-Head Dress Heritage of India. In those days men of higher social strata sported head-wraps which were richly padded clothes of varied shapes. They also had their hair tied with a ribbon. Men and Women of Royal families or Goddesses wore elaborate headgears and coiffure. But common-ers did not sport any headgear. 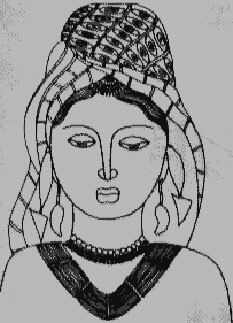 We find some descriptions of Indus headdresses which wire fan like structure and of spiral form and some were bossed head-dress. 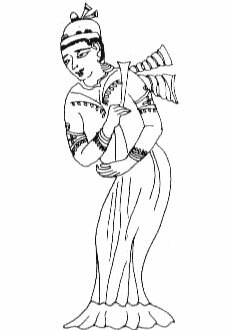 During Ancient India, Pugree was a concept of dignity and authority, and Yagnya was performed wearing Pugree. 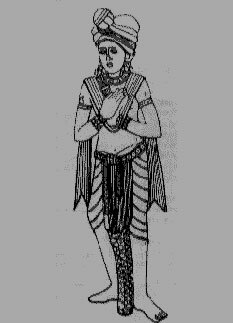 In the vedic period during Rajasyua Yagnya one had to wear Pugree in a particular style, rationality of which is hard to understand but seems to have been a deep rooted custom. Around 300 B.C. one finds references about Rishi Apasthamba asking his student to take off their Pugrees while approaching their teachers. This was practiced evidently as a token of respect to the teachers. This gesture is similar to the western civilian gesture from the 17th Century until the 1960s, where it was considered polite to take off one’s hat on meeting a social superior or a lady, or when greeting an acquaintance. In the post-vedic era 600-320 B.C. 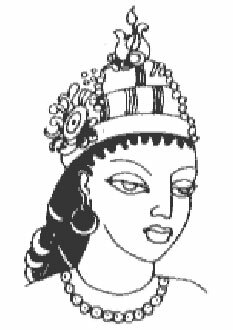 we find evidences of voluminous head-dresses mostly known as Ushnisha, and it became a common phenomenon. Dr. G. S. Ghurye elaborated that “The head-dress known as Ushniha is the earliest mentioned in connection with eastern people known in early literature at the ‘Vratyas’. It is described as white and bright. It used to have cross-windings and was tied with a tilt”. Thus the spiral, fan like shape of Indus head-wrap in the post vedic period evolved into a cross-bind Ushnisha studded with Jewels. - By Dr. Gautam Chatterjee, Pugree-Head Dress Heritage of India (internet). Dr. G. S. Ghurya, an exponent in costume history analyzed that the female wore Pugrees without any projections. But the male Pugree was projected vertically, frontal or sideways. However, later on, male Pugree became of appropriate size. 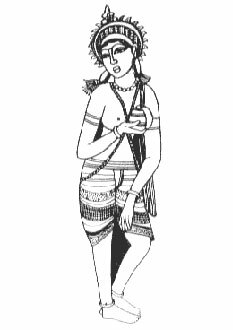 In the Sunga period (185 – 75 BC) one finds great emphasis on the male head-dress called Mauli where, the hair itself was often twisted into a braid along with the turban cloth. This twisted braid was then arranged to form a protuberance at the front or the side of the head but never at the center top, as only priests could use this style. Over the turban a band was sometimes used to hold it in place. In addition, decorative elements like a jewelled brooch or a jhalar (fringe) could be attached to the turban or one end folded in pleats and tucked in like a fan. 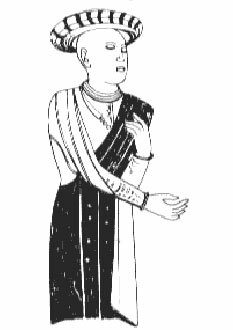 In this period the females wore a kind of head cover called 'Uttariya' which had beautiful folded look and tied crosswise but straight unlike the Male head-gear which was vertical or sideways. This Uttariya could be worn having at the back. It is interesting to note that beneath the Uttariya skull cap was worn to keep the headdress firm in its place. Apart from these, it is gathered from archaeological sources that different strata of society donned different kinds of head-dresses. 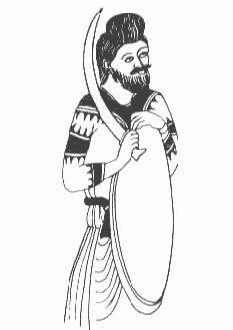 For example, the archer of Taxila used to wrap his head with a thin strip of cloth. 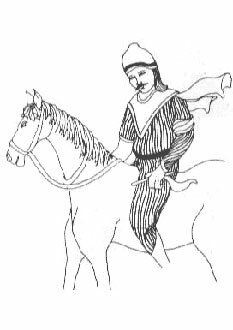 The attendant of the archer covered his head with ample piece of cloth which resembled the contemporary head-dresses of an artisan or peasants. In the Gupta period, only royal entourage and high officials, like the chamberlain, ministers, military officers and civic officials wore turban. It had become a distinctive symbol of their respective ranks. It could be of fine muslin tied over a large knot of hair at the centre of the forehead or a striped turban worn flat and twisted giving a rope like effect to the cloth when wound. The ministers were often Brahmins with their hair shorn keeping only the ritual top knot. 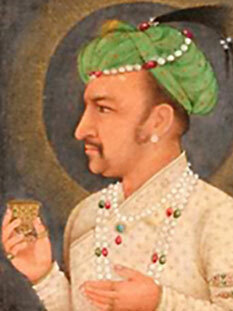 - By 11th century, even the common people started wearing turban. 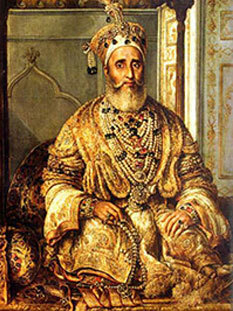 The Islamic era brought about several changes in the head-dress in India. 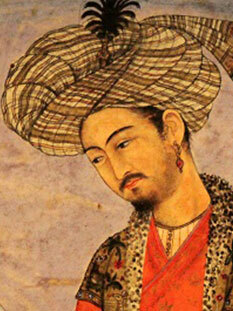 Muslims brought their own form of turban which was stylized after Persian / Arabian culture. 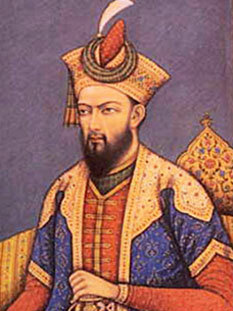 According to Jamila Brij Bhushan in the Muslim period ‘The caps worn were of many shapes pointed with a boss at the tip, conical with broad, upturned brim, triangular or pointed. Sometimes it was down-shape with seems visible in the middle’. 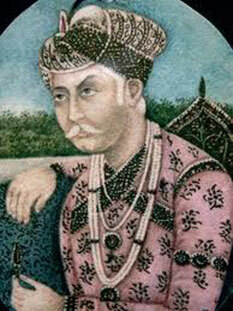 Akbar gave immense importance to turban. It is said that he even changed his turban style from Mughlai to the Hindustani, which encouraged a lot of Hindus to wear turban. In the 17th century one Kashmiri Hindu courtesan obtained from the king the grant of a turban one hundred yard long for his son’s marriage. 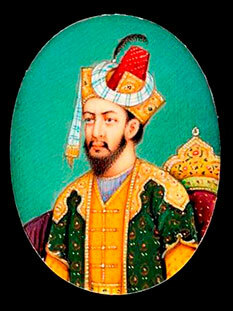 Perhaps from this time Kashmiri Hindus started sporting long turbans with pride on such occasions. This practice was later passed on to Rajasthan and Punjab where also long turbans were worn especially during festive occasions. 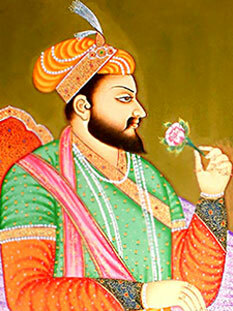 However, later on Aurangzeb (17th century) tried to suppress the custom of wearing of turban by non-Muslim population. His logic was that only the ruling class (Muslims) had the privilege of wearing turban as a mark of social superiority and authority and since non-Muslims (mainly Hindus) were ruled class, they were to be considered socially inferior and therefore, they could not wear turban. Thus, the Hindus submitted to the above diktat of the Muslim rulers and discarded their own sacred heritage and honour of wearing turban. Inspite of such a ban the Sikhs in particular and strong minded Hindus like Rajputs, Jats and Marathas refused to accept the authority of the Muslim rulers and they fought with great valour to maintain the glorious heritage, pride and honour of India i.e. Turban/Pugree. Particularly the Sikhs in Punjab - who mostly came from the Hindu families – had to bear untold and most inhuman atrocities to save the heritage and honour of the Hindu religion and the custom of wearing turban /Pugree. In this process – the ninth guru of the Sikhs – Guru Tegh Bahadur Ji sacrificed his life in Delhi to save the “Tilak” and “Janjhu”– the hall marks of the Hindu religion. It was a unique martyrdom of Shri Guru Tegh Bahadur, who laid down his life for saving the religion of others i.e. Hindu Kashmiri Pandits inspite-17-of the fact that the first Prophet of Sikhs – Guru Nanak Dev Ji – had forbidden the Sikhs to wear ‘Tilak’ and ‘Janjhu’. Guru Gobind Singhji, gave a fresh definition to Pugree as he augmented the visionary concept of ‘Khalsa’ which was to fight against the Muslim on slaught and re-establish the lost pride. The Head-dress remains the symbol of pride and the regality of its nature and the pride of the battle field. With passage of time the concept went beyond the ‘Martial’ race called Khalsa and became a vibrant cultural symbol of Sikh which has spread all over the world today. Even Noble Laurete Rabindra Nath Tagore wrote about Sikh Guru that they decided to sacrifice their head than to allow cutting of their hair. Source: ‘Pag ate Pag da Sabhiachar’ Book by Jagdev Singh Aulakh. Translated from the original in Punjabi.